The Halloween season is all dressing up and having fun for kids of all ages. Some people love to make it light and fun while others love the spooky and scary side of Halloween. The projects we have done this year run to both ends of the spectrum. If you are a fan the chilling, eerie and spine-chilling. 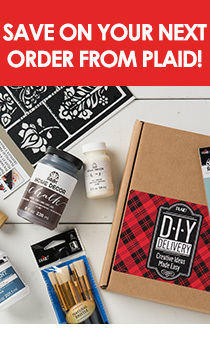 The last two of these projects from Mod Podge are perfect for you. Put your treats for your Trick or Treaters in the "Creepy Candy Bucket"
Looking to capture the spirit of Halloween? You can with the "Ghost in the Jar"
Create some shocking “Bloody Halloween Milk Vases” to scare your guests! Find the instructions on our site and the supplies can be found at Michael’s Stores across the country.